← Dr. Sketchy’s Rises Again! Modeling at Dr Sketchy’s and a Few Commissions! But before then, I’d like to announce that my friend Ace and I will be the next models for the San Diego Dr. Sketchy’s session in March! Here’s the announcement from Dr. Sketchy’s website! Join us for a for an afternoon inspired by mythical creatures and all things Irish and enjoy drawing, drinks and a carefully crafted music playlist (plus sweet treats from us!) and compete in silly contests for fabulous prizes! So all you San Diego Art types, come over to Dr. Sketchy’s and give it a whirl! I will be offering up Cthulu and Lady’s of Steam postcard sets as contest prizes as well. So if you’re looking for some fun sketch time with live models, and you’d like to just come over and say hi, drop in next Sunday! 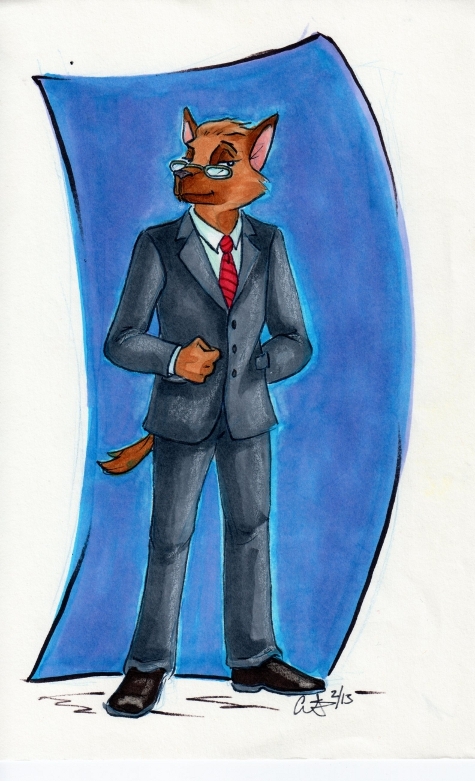 For Shaun, he requested his Anthro character, Shaun Pup in a Suit. LIKE A BOSS. Another one for Shaun, an over due Christmas gift actually. Shaun Pup got a little wrapped up in his electrical work at Puppy Pack Headquarters. 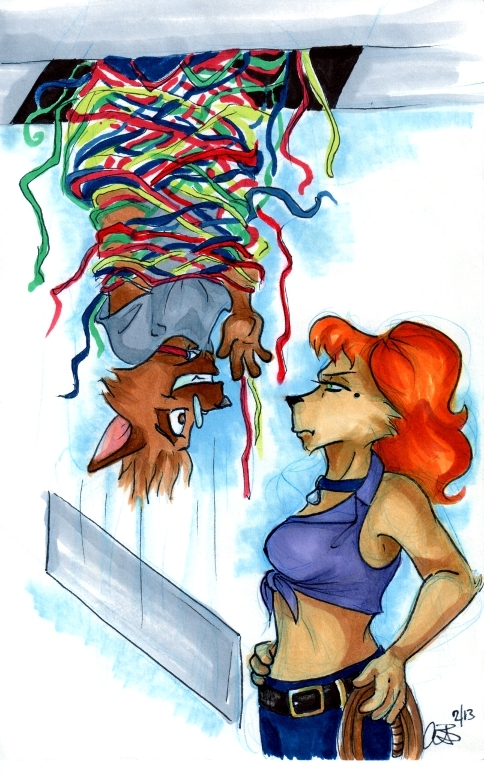 Cindy Pup is not amused. 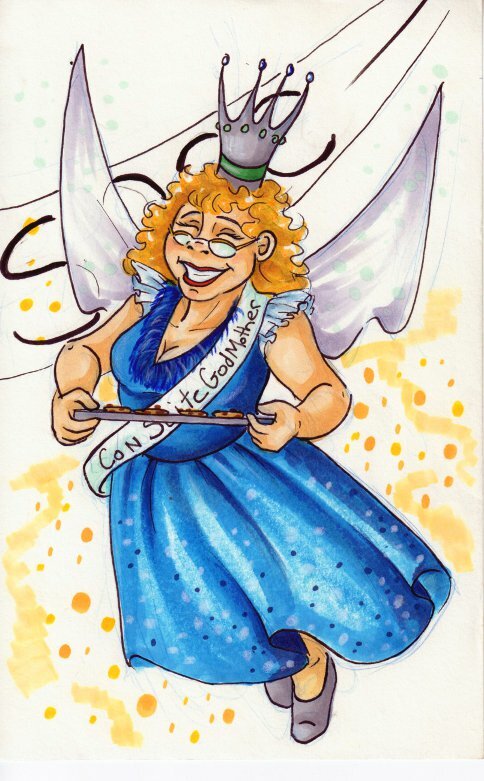 And Ace’s commission of a good friend of hers as a Convention Fairy Godmother. I still have two more to finish up for Kandice and Katie. They are currently in their inking stages so I will have them done soon, ladies!